This triple-bottom line project aims to build the first value chain for vegetable oil production without deforestation and land use change. Planting the Macauba tree – a species native to Brazil – in an agroforestry system and processing its fruits, we create significant social, environmental and economic impact for all stakeholders, including smallholder farmers and harvest workers. 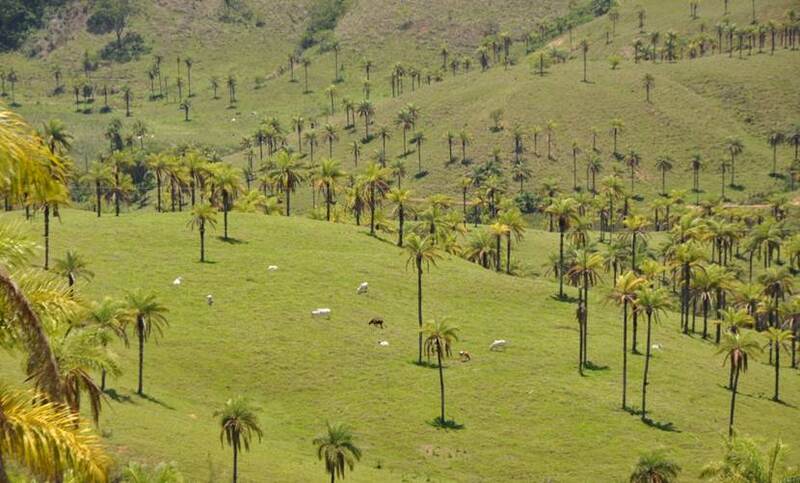 The project is implemented in the Cerrado region of Brazil. It directly translates knowledge and experience from a EU-funded EUR 2.7m research project into action. The implementation on the ground is supported by the IDB. We are currently looking for co-investors. — "Insights into Jatropha Projects Worldwide"
Academic study on Jatropha in cooperation with the Leuphana University, Lueneburg. The production of plant oils based on oil-bearing trees such as Jatropha could provide an alternative pathway to a more sustainable plant oil production in the future. Planting oil-bearing trees can mitigate the effects of deforestation and allow for a feedstock production that does not directly compete with food production. In spite of the large potential of oil-bearing trees, knowledge about the economics and production volumes as well as the status of global plantations of Jatropha was limited. Faced with this challenge, INOCAS and The Platform for Sustainable Aviation Fuels at Leuphana University Lueneburg conducted more than 100 interviews and compiled a report including an analysis of the sustainability of existing projects. The study "Insights into Jatropha Projects Worldwide" is available now as a free download here.